Opening hours: 09:00-17:00(GMT+08:00),7x365, except a 7-day-closedown during Spring Festival. 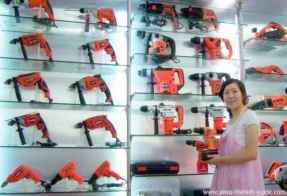 What's Hot in Tools and Hardware Market, Yiwu China? Tool sets are always hot stuff here. Buyers are keeping looking for quality and price. 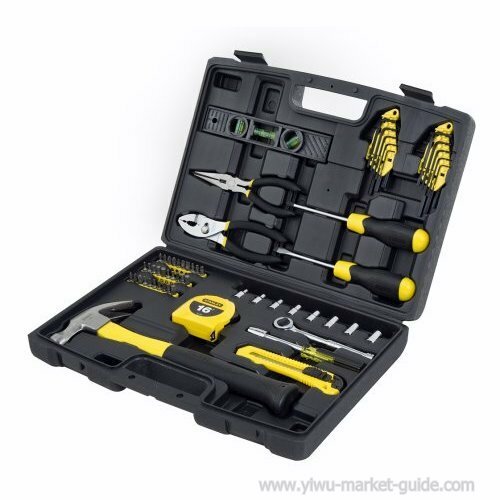 This tool sets is recommended by my friend Mr. Tian. They shipped out 3,200 sets last week. 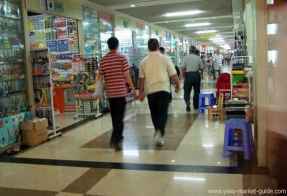 Don't be miss led by the old saying that Yiwu tools and hardware market is only for crappy tools. Here I would introduce you Sally and their tools, real quality ones. Sally is a brilliant sales manager of a big power tools producer. 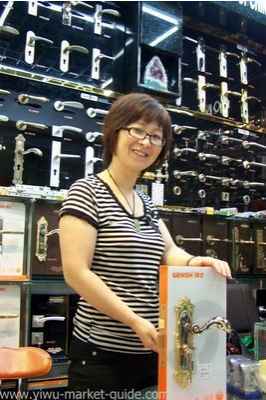 She is one of the few vendors I know inside Yiwu market has the right knowledge and skills. Their company is located in Jinhua. They produce angel grinders, gardening tools, and many other power tools. 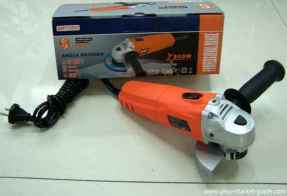 The company is one of the top angel grinder producers in China. All their products are for exporting. 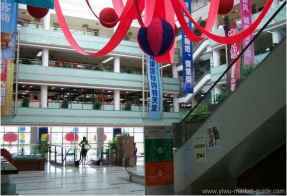 They obtained ISO9001 in 1997 and have GS、CE、EMC、UL and other major certificates. You can trust them on their quality. She recommended us this angel grinder, their new star. Below is one of their factories that can produce over $0.1 Billion USD power tools each year. Sully, a happy lady can always do things properly. I really like her professionalism in this field and her high efficiency. Of course, everyone would like her happy smiling face. I like to go into her shop whenever I pass by, just for sharing her happiness sometimes. 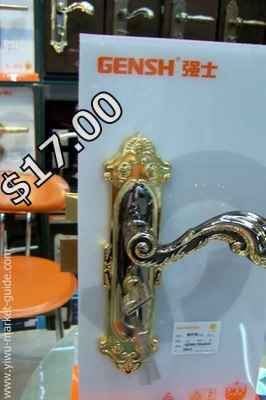 They are the general agent and exclusive distributor for many types of locks. From Top 10 China brands to smaller local brands. You may find that she can help you with anything about locks, even lock accessories. "You can always have a better price from us, than from the manufactures. We order from the factories almost each day, how many orders can you give them? It’s fair that we have a better price" She smiles. I have to admit that agents are often stronger. 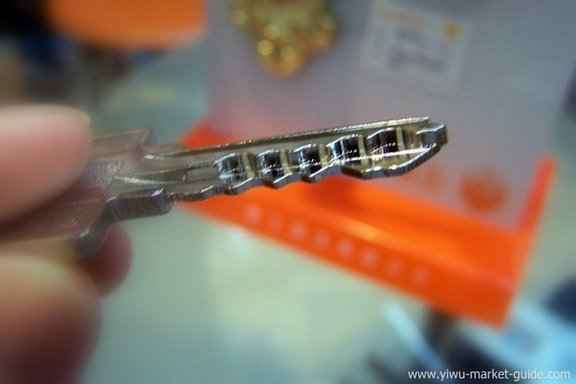 Below is a new model just came in from one of the Top 10 lock manufacturers in China. There are 0 chances to open this lock with another duplicated key, according to Sully. This is another huge market inside a huge mall. 3,000 shops could easily make you feel dizzy. So arm yourself with the right equipments first. Wear light, comfortable shoes. Trainers would be perfect. High-heels? No-NO!Put yourself in comfortable clothes. Business-leisure would be perfect. Formal, elegant suit is rare here. Browse according to the booth numbers, block by block, so you can cover the most. Otherwise, you may feel frustrated to find yourself are re-browsing the same booths or getting lost. The feeling of dizzy and let-me-out can be really unpleasant. I’m not exaggerating here. Put some food or at least a bottle of water in your backpack, if you want to stay more than 3 hours. They have restaurants inside, but it’s all Chinese food. And it's extremely crowded in lunch hours. Smoke only in the smoking room. If some vendors remind you not to smoke near their shops, please cooperate. Otherwise, they will be fined for not stopping visitors smoking near their shops. They even need to write a formal apologize letter to the market operation office for letting smoking go. Hire a translator if you want to know everything. But if you just want to look around, all the vendors have no difficulties quoting you a price with their calculators.